Buffalo, New York has been New Era headquarters since the family owned company began business in 1920. 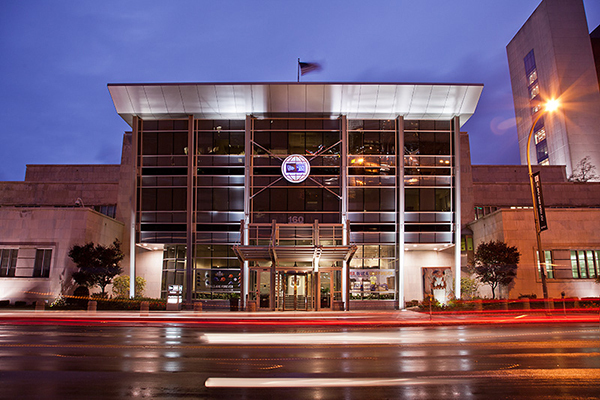 For nearly 30 years, Pro Image Sports has been known as the place customers go to find unique hats catered to their local market. We are equipped to do this, because we have local owners who buy what their customers are wanting. More times than not that means they want one type of hat: New Era. 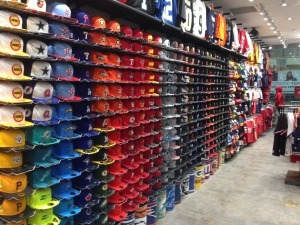 They have been the most recognizable headwear company on the planet for as long a baseball caps have been worn by fans. 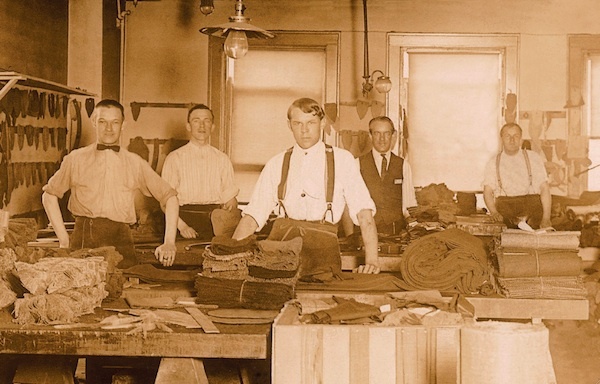 They have a company history that spans generations, beginning in 1920 with patriarch Ehrhardt Koch, who had to borrow $1,000 from his sister Rose and a fellow coworker and began producing Gatsby-style fashion caps. An early picture of the first New Era production facility. 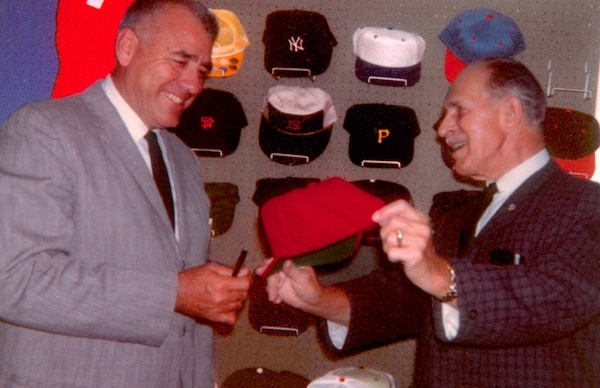 Fourteen years later they began making hats for Major League Baseball. I found it fascinating that they did not become the official on-field cap producer until 1993. No one ever accused MLB of being the first to arrive at the party, but it took them 60 years to hammer out a league-wide deal? That is just one of many fun nuggets of information I recently learned from doing a little research and speaking with New Era Senior Design Manager Brian Radko. New Era has always had a strong relationship with Major League Baseball. It is hard to imagine a time when New Era hats weren’t seen across the globe and in every color and design you could imagine. Actually, to be correct, it is every color and design Radko and his fleet of talented designers around the world have imagined. It is this creative process I was interested in discussing with him. 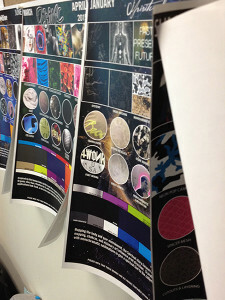 New Era employs some of the most talented graphic and fashion designers in the world. Being a Buffalo native, Radko himself has a storybook career spanning 17 years at New Era. The kid who would ignore teachers in junior high school to replicate the logo of every NHL team in his spiral notebook with a No. 2 pencil, would later go on to designing shirts for screen printing company, until a chance meeting with a New Era sales representative led him to his dream job. I’m sure at the time he couldn’t have imagined blowing off biology class by perfecting his ability to replicate hat logos would be the first step of his career path. When he started 17 years ago there were four designers. Four. Now there are 14 offices worldwide, (in the UK, Hong Kong, Australia and Brazil just to name a few) each with their own team of designers. The growth has been startling, and can largely be attributed to the success of the 59Fifty custom headwear wildfire that was sparked by Spike Lee at the 1996 World Series when he asked if he could have a red Yankee cap made, and it has spread across the globe ever since. New Era has always been willing to adapt with changing marketplaces. They didn’t just adapt in 1996, they set the headwear business on an entirely different course that would change sports, fashion and pop culture forever. 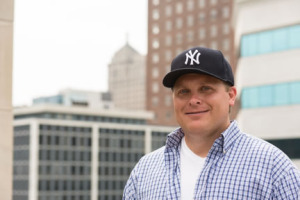 Give the Koch family and their team of executives and designers credit for seeing the potential business offering a Yankee hat in different colors presented (red, royal blue, kelly green and black to start), but as we now look back nearly 20 years ago, no one could’ve predicted where these roads would lead the industry. Welcome to the hat war room. This is where a lot of unique custom headwear is created for specific retailers. For the likes of Radko, and his merry men (and women) band of designers, the figurative shackles had been taken off and it was now time to create art that someone could wear. 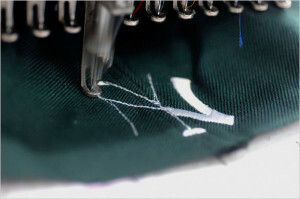 The first wave of customs followed the tracks laid by the success of the Yankee hats; offering teams in different colors with a white logo. Their pallet was somewhat limited at the time because they hadn’t rolled out the poly-blend performance material that all on-field MLB and NFL team hats are made from now (The poly absorbs different dyes allowing for much more vibrant colors to be introduced around 2007. The next monumental moment in the evolution of the merging of sports and fashion was when the front man of a certain rock band came directly to New Era asking for a specific design, just as Spike had done three years earlier. Limp Bizkit lead singer Fred Durst requested a hat with the team logo small and off-centered. In 1999, rock/rap band Limp Bizkit was one of the hottest acts in the country. 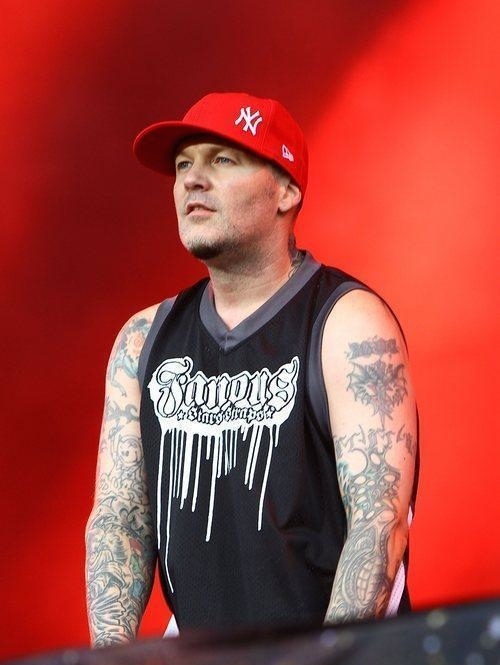 Back then MTV actually played videos, so when lead singer Fred Durst asked New Era to produce a Yankee hat to wear in their new video for the song “Nookie” it provided a great platform to advertise product. Both the song and the hat (a red Yankee cap with the logo off-centered) would be smash hits. This hat was largely responsible for bringing custom hats to the suburbs. It was no longer a big city urban boutique thing. Their customer base was broadening. Radko and team were just getting warmed up. This thrust New Era forward creatively; emboldened by their success that they could open the playbook and do all sorts of new things with the hats and logos. As the years progressed the design team would become globetrotters seeking inspiration from everything they saw. From the deck of a lawn mower, to the architecture in Hong Kong, inspiration for design comes from every corner of the earth. “To be an innovator you have to look beyond the obvious,” said Radko. Radko admits the most difficult thing to do is to make a simple, yet innovative design that a broad group of people would wear. For instance, one of the best selling 59Fifty customs for over 10 years has been a simple black logo on a black hat. It is still a solid seller, but a couple years ago New Era made a spin-off. They simply added an anthracite gray outline to the logo and made the hats out of their performance material instead of 100% wool. Instant hit. Pro Image Sports across the country highlight the best that New Era has to offer. 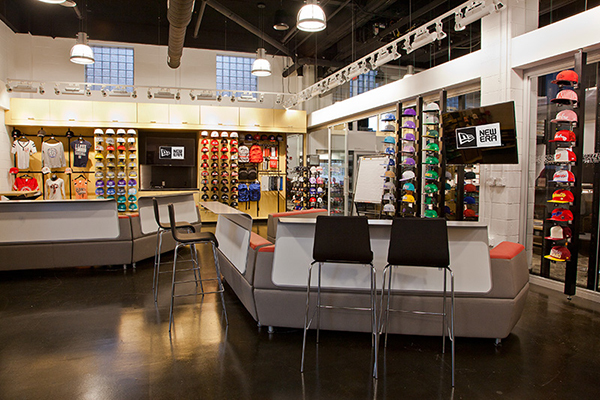 Many of the designers at New Era live the business. They are enveloped in the culture, acutely aware of what the next fashion trend may be. They create dozens upon dozens of hats that fail to hit the production line, but there may be an element from one that they decide to use on another hat and voila a new style is born. 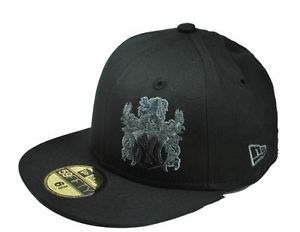 One example of collaboration of the design team Radko gave was the creation of one of the most successful 59FIFTY customs known as “The English”. He came in and another designer had put together much of the framework, but had hit a snag of sorts and Radko had a few ideas for what to do on the back of the hat. They went back and forth until the finished product was complete. “That’s the cap I will always remember, because of the collaboration,” said Radko. The fashion element of New Era caps is showing no sign of slowing down anytime soon. Whether you are a 59FIFTY fitted fan, a 9FIFTY snapback lover or dig rocking the 39THIRTY curved bill you can count on New Era keeps the hits coming. 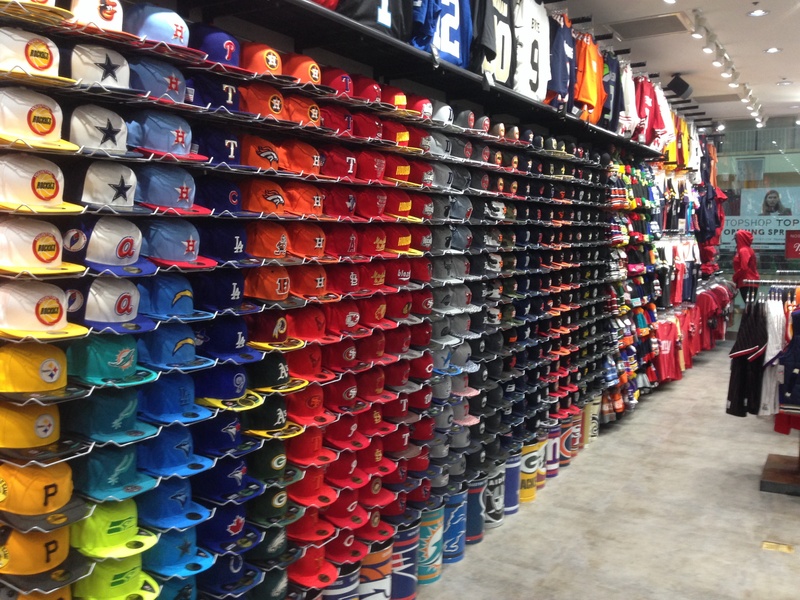 You can count on finding the most diverse mix of New Era caps at your local Pro Image Sports. Our local buyers are always on the cutting edge with what styles are the hottest in your market and there are special custom hats made specifically for Pro Image Sports you can’t find anywhere else.